Is Mutual Fund Worth The Hype? A mutual fund is a professionally-managed investment scheme. It is run by an asset management company that pools the money of people and invests it in equity (stock market), debt (bonds market) or some other asset class. A mutual fund is an ideal investment option for those who want to participate in the stock market or debt market but don't have adequate knowledge to do it directly on their own. For example, if you are investing in an equity mutual fund, you are investing indirectly in stocks as your money, which is a part of a big pool of money collected from investors like you, is routed to the stock market and you are allotted certain units for your portion of the money. Still confused? Keep reading, this article is intended to give all the information about the concept of mutual fund and also to iron out all the confusions, misconceptions and myths associated with it. After understanding mutual funds on a conceptual level we have to graduate to the next level - the types of mutual funds. There are mainly three types of mutual funds - Equity, debt and hybrid. Every fund has its set of pros and cons and as we move further we will discuss all the types of funds in a greater detail. 1. Equity Funds - Equity funds invest most of the money that they gather from investors into the stock market. As equity is the most volatile asset class, the risk that an investor has to bear in equity funds is quite high. Investors can get handsome returns, in some cases, can also make losses. The historical data suggests that equity investments held for a long-term give better-annualised returns. However, in the same breath AMCs also state that past record is not a guarantee of future returns. Most certainly these types of funds are better suited for those who have a higher risk appetite. To reduce risk, many funds companies offer blue-chip funds which only invest in big, well-established companies with big market capital and robust financials. These type of funds are relatively safe, however, even these companies are subject to market volatility. As these companies are relatively safe their growth potential is fairly low compared to small and mid-cap funds. 2. Debt Funds - If equity is not your thing then you can consider debt fund. Debt funds invest their money into debt market where corporate as well as government bonds are traded. These bonds are issued by banks, big corporations and government securities. Debt fund is a perfect investment option for investors who are not willing to take risks. Moreover, returns are as good as assured in these types of schemes as debt market is not as volatile as equity. Though assured, returns here are far lower than that of equity funds. 3. Balanced funds - Balanced funds or hybrid funds strike a perfect balance between equity and debt funds. These types of funds invest money in equity as well as debt in a certain proportion. The idea behind the balanced fund is to get the best of both the worlds. From equity, you get high returns while debt gives you safety and stability. The returns are little lower than equity but higher than debt fund. Generally, the allocation of money is more into equity. However, fund managers change their investment pattern based on market conditions. 4. Money Market Mutual Funds - Better know as Liquid funds, they invest a bulk of their money in short-term instruments like Treasury and Commercial Paper & Certificates of Deposit which are considered safe. One of the high points of liquid funds is that it invests a big sum of money for a smaller duration. In liquid funds, there is no exit load, you can enter and exit at your convenience without incurring any surcharge. Usually, corporate houses you these funds to park their money for a short while. It's also available for retail investors but it doesn't offer great returns. 5. Gilt Funds - Gilt Funds are perhaps the most secure instruments that are around. These funds invest the bulk of their money in government securities. Naturally, as gilt fund enjoys the backing of the government it is considered the safest form of mutual fund. How To Select The Right Fund? The most critical aspect of your investment strategy is to set your investment objectives. From short-term to long-term you should have full clarity of how much money you are going to need for different events of life. For example, saving for a downpayment for a car is a short-term goal while planning finances for retirement and kids' education and marriage is a long-term goal. Setting objectives gives you clarity on your risk appetite which helps you to lay the foundation for your portfolio. From long-term to short-term all your goals are laid out and given proper timelines. The question is - where does mutual fund figure in this planning? For both short-term and long-term goals, mutual funds can be a potent investment instrument. Generally, equity funds are used for long-term objectives as they give good returns in the long run and debt funds are used for short-term goals as their prime quality is that they keep your capital safe and give assured returns. Hence, it is important that you approach your financial planner to identify your investment and financial objectives. Once you have locked in your financial goals you move to the next level that is of identifying the best mutual funds to invest. When you put your money in a fund, you give a mandate to the fund house to manage your money on your behalf. Naturally, we expect the AMC to take good care of our investments. The decisions taken by the fund manager will take us close to your financial goals. Unfortunately, if the fund house fails to do what they had set out to do, you will end up losing time, money and subsequently faith in mutual funds. Thus it is important that you should know your fund house well. Every fund house has a number of funds to offer and every fund has options like growth, dividend, direct, regular, etc. To add to your confusion, there are mid-cap funds, small-cap funds, thematic funds, bluechip funds and whatnot. While being enveloped in such confusion, there is a possibility that you may choose a wrong fund. Your best foot forward is to consult your financial planner and sign up for the best fund. However, you should try to understand elements like the investment approach of the fund house, performance of the fund manager, you should seek the key information documents like offer document and fact sheets to understand all the details about the scheme, its objective, strategy and where it will invest your money. The ultimate goal of investment is securing good returns. Now we have to narrow down our analysis. From fund house, we have reached the fund that we want to invest in. Here you have to look at things like returns given by the fund for last few years and compare them with the benchmark which is usually Nifty 50 or Nifty Midcaps, etc. The thumb rule is that the performance of the fund should be better than the benchmark or at least be at par with the benchmark. If you are investing in equity mutual funds, it prudent to check the long-term (3-5 years) performance, for debt funds you can look at returns over the short to medium term. One of the critical yardsticks is "alpha" of the fund. It shows returns over and above that given by the benchmark. A positive alpha is considered good as it means that the performance of the fund is better than the benchmark. If any fund returns show too much volatility investor should stay away from it. Look for a fund which has consistency in its performance and a long track record. You can find all the information about mutual funds on websites like www.valueresearchonline.com and www.morningstar.in. To get the best returns on mutual funds long-term investment perspective is a must. Ideally, you should stay invested in an equity fund for over a decade. But life doesn't always work according to a plan. Sometimes you have to exit a fund early. For such scenarios, you should be aware of the exit loads (the penalty for exiting a fund early) and other charges that you incur on your investment. Generally, exit load is applicable if you exit a fund in first 12 months, in some funds the period may be higher. Exit load varies from fund to fund depending upon the type of assets held by them. Very few people look at the expense ratio of the fund house before signing up. When you redeem your units 'first in first out' method is followed. It simply means units purchased first get liquidated first. All this information can be found in key information document, offer document and fund fact sheets. Who's managing your fund? The person who takes all the 'buy' 'sell' calls for your fund is called the fund manager. Though these fund managers are highly qualified and have an impressive track record, it will serve you better to know a thing or two about them. You can look up their career performance, funds managed by them, how prudent have they been in reaping benefits of market conditions, etc. SIP Or Lumpsum - What The Best Method? Before we put this 'SIP Or Lumpsum' debate to rest, first let's understand what SIP means. There are many investors who don't know much about SIP. They think SIP is the investment instrument itself. You must have often heard people say that "I invest in SIP and not mutual funds". Let's clear this confusion once and for all. Systematic Investment Plan (SIP) is merely a route to invest in mutual funds. So the money you invest in SIP eventually goes to a mutual fund. Now, which is better - SIP or Lumpsum? The reason all the investment and financial advisors recommend to invest via SIP is simple - when you invest a small amount on a regular basis you have a better chance of beating the market volatility. For example, if you have Rs.1,00,000 and you invest it lumpsum in a mutual fund you get units worth 1,00,000 as per the market situation. If the market is up you get fewer units while you would get more if the market is down. In lumpsum, you lock in your entire amount and there is no time variable left. Thus while investing lumpsum, you have to time the market which is an extremely difficult task. On the other hand, if you invest the same Rs.1,00,000 in 20 portions of Rs.5,000 on a monthly basis, you totally nullify the market volatility as you buy irrespective of market conditions. Therefore, you get an advantage of averaging and you don't have to worry about timing the market. There are many investors who are averse to taking high risk. For them putting all the money in equity is not an ideal plan. Hence, to safeguard their interests, such investors put some part of their investment in debt mutual funds (considered less risky). The point to note here is that you are managing risk at the cost of returns as debt funds don't give handsome returns. Thus it becomes imperative for an investor to strike a perfect balance in his/her allocation of money in debt and equity mutual fund as to not hamper the returns. This exercise is called debt-equity ratio. A Rule Of Thumb - Your age is the number of percents you should invest in debt. If you are 30 years old, you should invest 30% in debt and 70% percent in equity. As you move forward in life, your debt investment should increase with your age every year. But this is just a thumb rule and shouldn't be given much importance. Every individual should design his/her investment plan according to his/her needs. Ideally, when you start investing you should be all in equity. Your risk appetite is higher when you are young and one should take optimum advantage of it. However, for those who always want to mitigate risk 70:30 equity to debt is the best way forward. If you want to just skip this confusion of ratios and numbers the best and the most hassle-free option is to invest in balanced funds also known as hybrid funds which invest your money in both equity and debt markets. All the AMCs and their products (mutual funds) are registered with Securities and Exchange Board of India (SEBI). To secure the interest of investors, SEBI has chalked out stern guidelines for all the AMC. It includes monitoring all the AMCs and their funds, directors, and fund managers. All the AMCs have to comply with KYC norms prescribed by SEBI. Also, SEBI has a code of advertisement in place which keeps a check on how the mutual funds are advertised and presented to the potential investors. In a way, it would be safe to say that SEBI works extensively to ensure that investors get a fair and square deal in their mutual fund investment. What is compounding? Let me give you an example - Imagine you have a Rs.10 note. You keep it away in your drawer. For years you dont take this note out of the drawer. After a considerable period, when you open the drawer, you see more notes than you had originally put there. How did this happen? Its your reward for letting the money be there for a long time. Of course, this is just a fairy tale, but in the world of mutual funds, this phenomenon is called compound interest. To put it simply, compound interest is earning interest on the interest you have already earned. When you invest in a mutual fund, you get certain returns. Now, these returns are added to your existing investments and they earn returns as well. For example, if you invest Rs.500 and earn interest of Rs.50, then your total corpus becomes Rs.550. From there onwards, you earn interest not only on Rs.500 that you put in the first place but on Rs.550. Thats is how compounding works. It's a reward for staying invested for a long period of time. 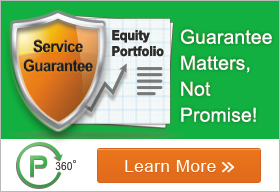 Equity Mutual Funds - Is one of the smartest and the most dynamic tools of equity investment. If you are a smart investor, a sizeable portion your income has to be routed to equity mutual funds on a regular basis. A mutual fund can be a potent tool to meet your short-term as well as long-term goals (retirement). At a moderate risk, investors get decent returns and also get to experience the power of compounding.